Bursting out of Buenos Aires and Uruguay in the late 1800s, Argentine Tango has evolved into a popular dance form that is now danced socially worldwide. It's popularity continues to grow around the world. In our home town of Sydney, for example, you can now dance every day of the week at 'Milongas' (Tango social dances). 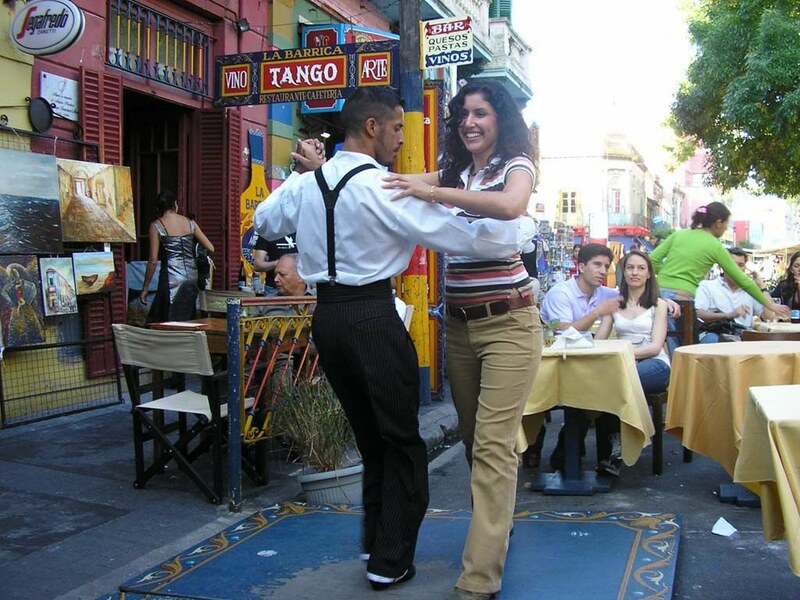 In 2009 UNESCO declared Argentine Tango to be a world heritage. Argentine Tango is often mistakenly confused with Ballroom Tango but it is a very different form of dance. Unlike its ballroom equivalent, Argentine Tango does not involve sequenced choreography, memorized steps, rapid head movements, acrobatics, nor feigned expressions of lust or passion. It also does not require the wearing of a rose between the teeth! Argentine Tango is an improvised, spontaneous dance, which is based on variations of walking, turning, pausing and adornments. Even though there is a basic structure and certain rules to be followed, the dancers can never truly predict how their partner will interpret the music, construct a dance or embellish it. As there is no pre-ordained sequence to their dance, and no verbal signals, the leader and follower have to be totally in tune with each other and the music to dance in harmony. Both partners bring their own signature to the dance, which fuels the unpredictability of the experience. For this reason Tango is often described as a "a pure form of communication" or "a conversation without words". Partners are responding to one another's expressive interpretations through the connection of their bodies, not their words. "Tango is the most enriching, scary, fitful, superconscious and unconscious, fulfilling, satisfying, exasperating, deep and shallow (at the same time), experience you will ever have in your entire life. If you ever want to have your head handed to you, and at the same time be equally thrilled you should try tango. It will literally change every facet of your life in ways you haven’t even begun to imagine." "Tango is like a language - you learn the alphabet, the vocabulary, the definitions, the grammar, the style and usage - then you can write whatever you like...."